If you ever plan on taking your sport-utility vehicle off-road, you’ll be interested in learning about the SUVs with the most ground clearance. These entries have the altitude you need to cross streams, climb rocks and more. We've also included dedicated trail models in the mix which can provide even more ride height than the standard trim levels. Just remember, for all their rough-and-ready capability, these SUVs can be impressively civilized. With that in mind, they can showcase quite a few modern-day technologies and upscale comforts, from mobile Wi-Fi hotspots to heated and ventilated seats to advanced safety features. 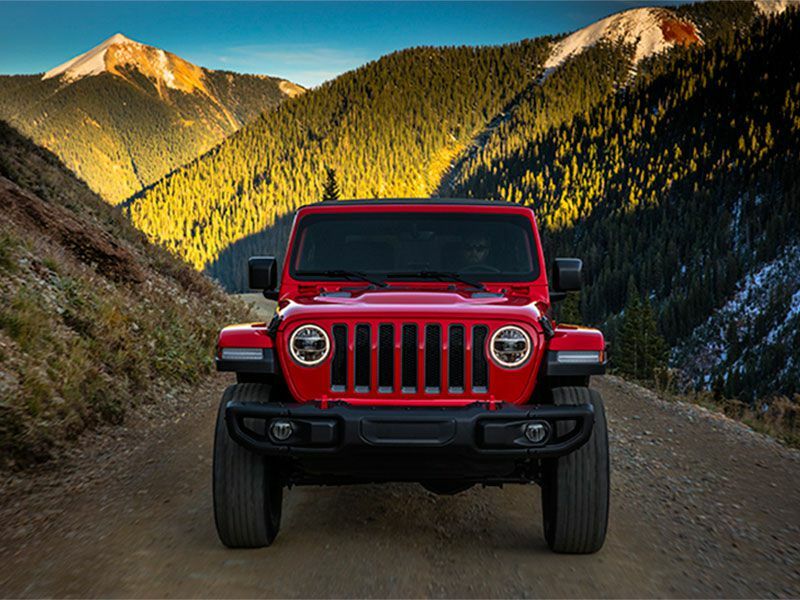 Setting the bar for the SUVs with the most ground clearance is the 2018 Jeep Wrangler. In fact, the all-new 2018 models grow taller than before. The previous-generation JK Wrangler—which is also on sale now—tops out with 10 inches of maximum ground clearance. 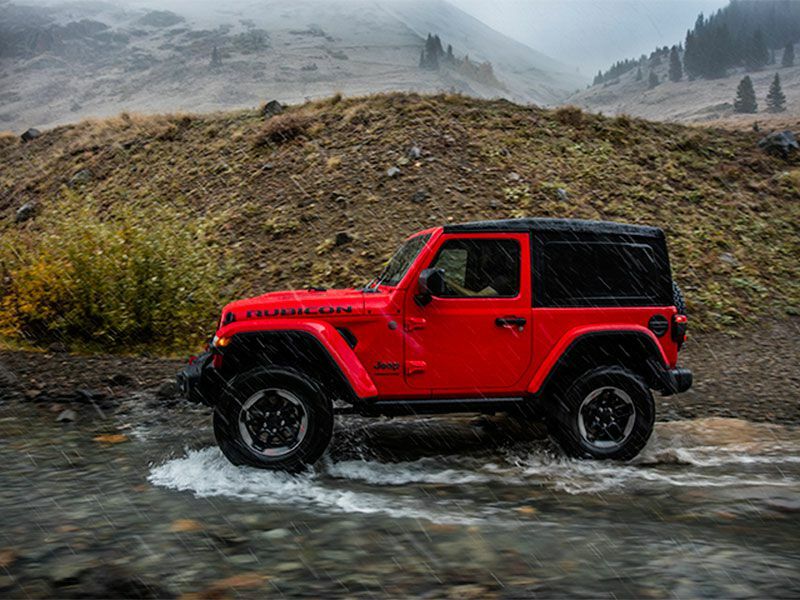 For the JL Wrangler, the Rubicon trim level can raise that to 10.8 inches. The entry-model JL Sport adds even more height, with an extra 1.5 inches: The JK version has 8.2 inches of standard ground clearance, while its new JL counterpart has 9.7. The mid-range Sahara sees a .3-inch bump in ride height, to 10 inches. The brand-new Wrangler can boast modern-day technologies, too, including Android Auto, Apple CarPlay, a blind-spot system, and LED lights. 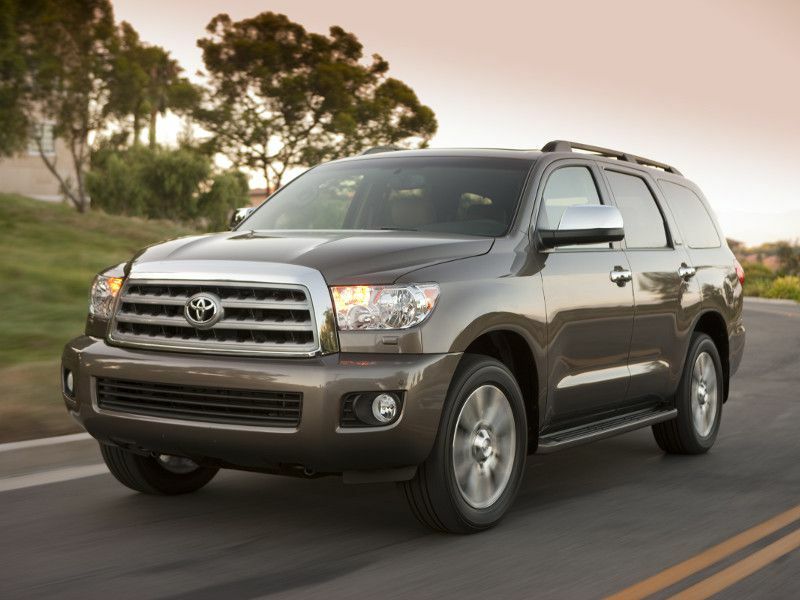 Full-size SUVs with the most ground clearance are led by the 2018 Toyota Sequoia. Four-wheel-drive versions of the SR5, TRD Sport, and Limited models all stand tall with 10 inches of ground clearance. Those models can also complement that ride height with hardware like a Torsen limited-slip center differential and a two-speed transfer case with a dedicated low range. To push through the tough stuff, a 381-horsepower V8 is standard as well. But the big news for 2018 is the Sequoia’s newly standard safety content. A rearview camera was already standard, and the new setup adds automatic emergency braking, forward collision warning, lane-departure alert, adaptive cruise control, a blind-spot system, rear cross-traffic alert and automatic high beams. Another full-size SUV with ample ground clearance is the 2018 Ford Expedition. 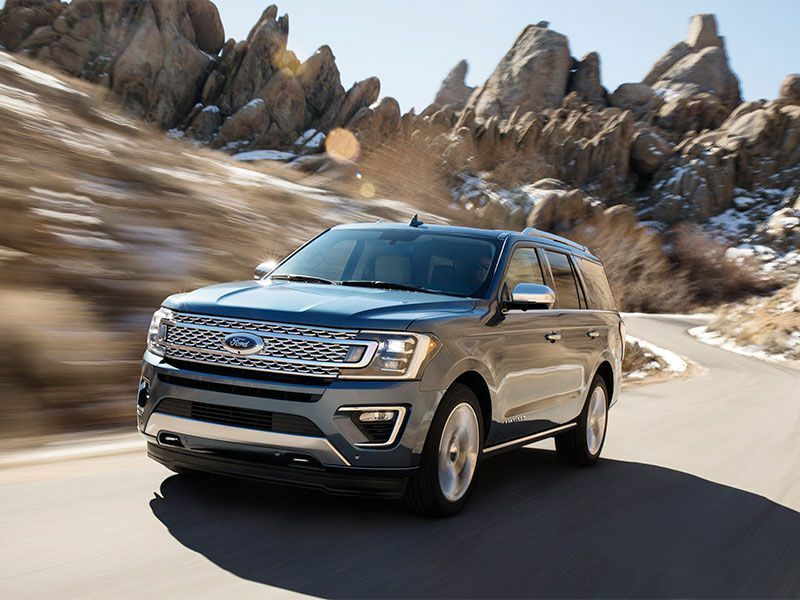 Standing out with 9.8 inches in two-wheel-drive models and 9.7 inches in models equipped with Ford’s four-wheel-drive technology, the Expedition also features loads of premium content. 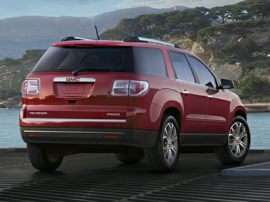 The Expedition offers multi-contour front seats with leather surfaces, heat, ventilation and even a massage function. Another unique Ford benefit? The Expedition’s standard 3.5-liter EcoBoost V6 engine, which is twin-turbocharged to dish out 375 horsepower and 470 pound-feet of torque. 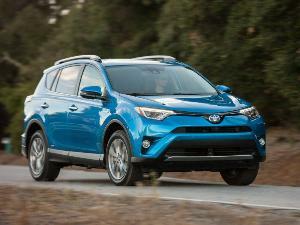 If you move up to the range-topping Platinum trim, that engine dials up 400 horsepower and 480 pound-feet of torque. 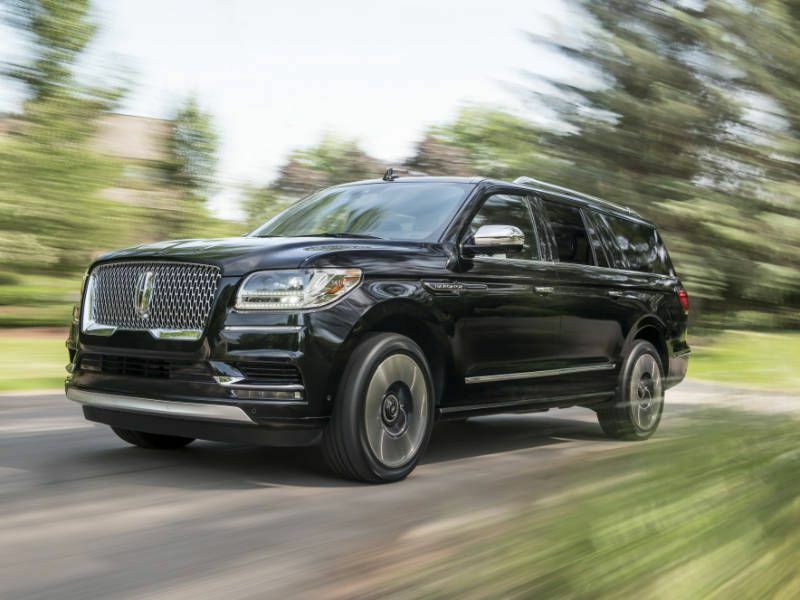 Though it shares a platform with the 2018 Ford Expedition, the 2018 Lincoln Navigator trades away a little bit of ride height for a whole lot of luxury. 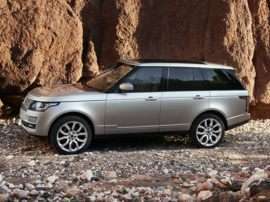 It leads the premium SUVs with the most ground clearance by providing up to 9.7 inches. As for premium highlights, the Navigator matches the Ford product with heated and ventilated massage-function front seats. The Lincoln difference extends to 30-way power adjustability, and design engineered to flex around your body for optimum comfort. As for other Lincoln exclusives, you can look for real-wood cabin trim and a 450-horsepower twin-turbo engine that also makes 510 pound-feet of torque. Next on our list of the SUVs with the most ground clearance is the 2018 Toyota 4Runner. 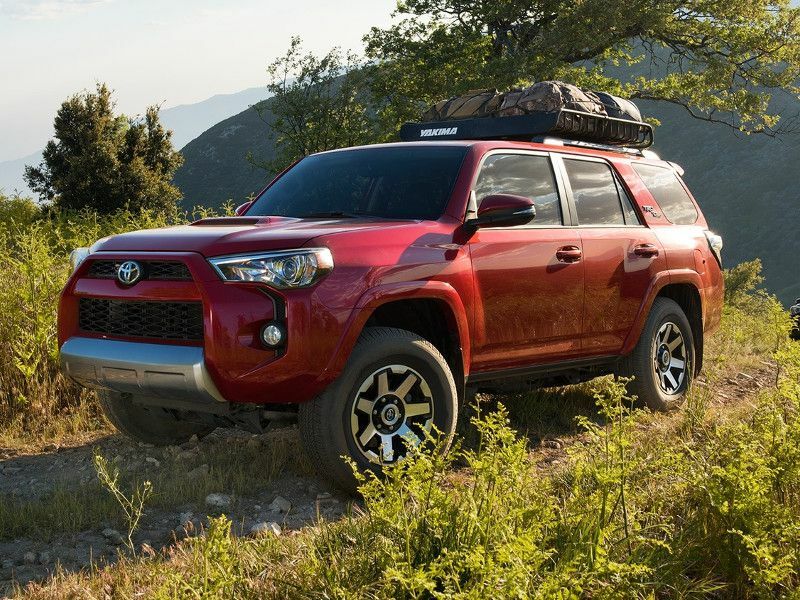 The 4Runner also has its own specific trail-focused models, the TRD Off-Road and TRD PRO editions. They benefit from the expert attention of the Toyota Racing Development team. As a result, owners enjoy the extra capability that comes with upgraded suspensions and high-performance shock absorbers. 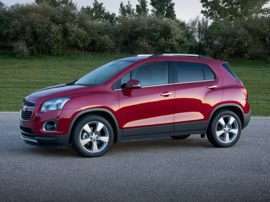 All trim levels supply the same 9.6 inches of ground clearance. It’s a nice bonus for shoppers since that means they don’t have to pay more for maximum 4Runner extra ride height. 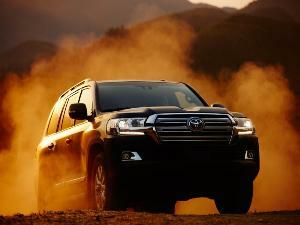 Additionally, the mid-size 4Runner is big enough to swallow up to 89.7 cubic feet of gear. And unlike the Wrangler, air-conditioning is standard on the 4Runner. Backed by up to 9.2 inches worth, the 2018 Nissan Armada easily sails into our gallery of the SUVs with the most ground clearance. Nissan also serves up an “All-Mode” four-wheel drive system with an electronically controlled part-time transfer case. 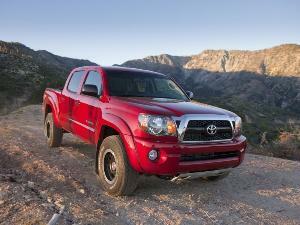 For trail-tackling power, all Armada models feature a standard 5.6-liter V8. The tale of the tape for this engine: 390 horsepower, 394 pound-feet of torque and an 8,500-pound tow rating. Nissan then surprises customers with an extensive array of technology options. Included are forward collision warning, automatic emergency braking, adaptive cruise control, a blind-spot warning, and a sophisticated digital rearview mirror that displays live video from a rear-facing exterior camera. 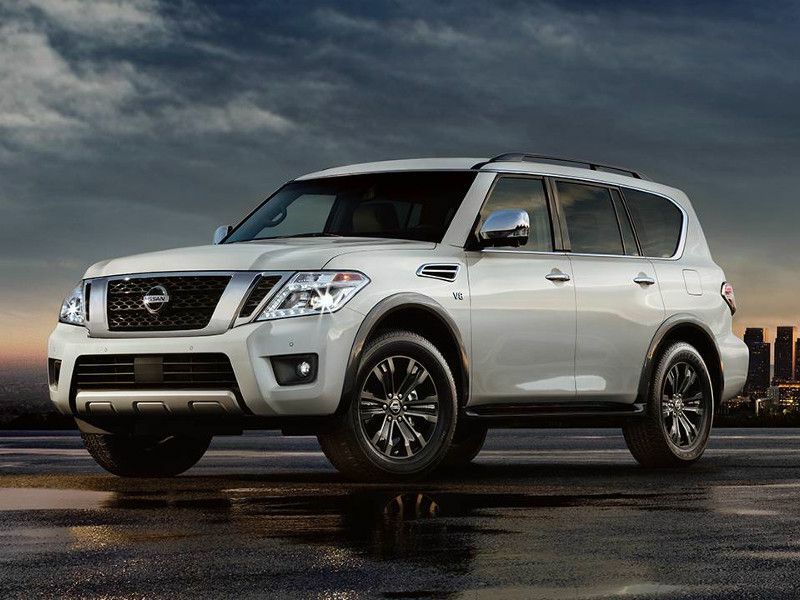 Since Infiniti and Nissan are owned by the same parent company, there’s a certain amount of shared DNA between the 2018 Infiniti QX80 and 2018 Nissan Armada. Indeed, like the previous vehicle in our gallery of the SUVs with the most ground clearance, the QX80 rides at an altitude of 9.2 inches and offers a trail-friendly all-wheel-drive setup with a dedicated low-range driving mode. 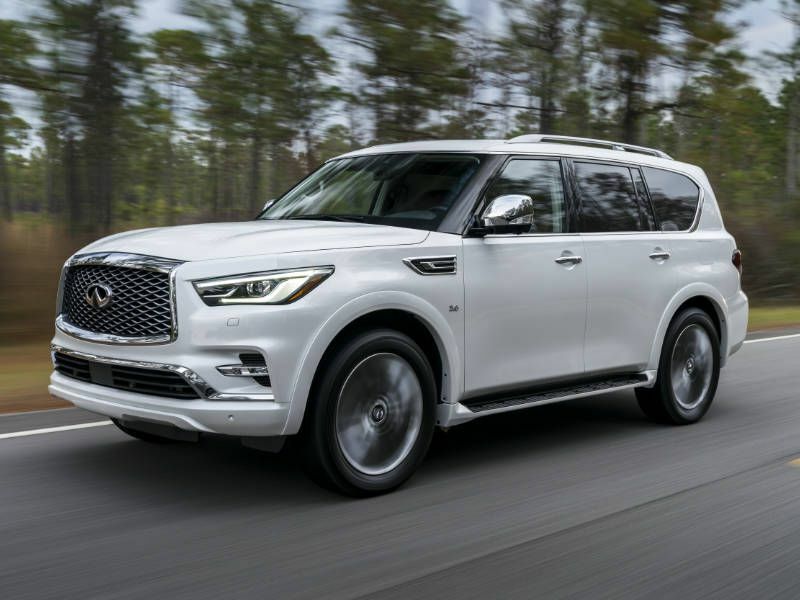 On the other hand, the QX80 stands apart from the Armada in important ways, starting with a more powerful V8 engine that ups the ante to 400 horsepower and 413 pound-feet of torque. The QX80 is also distinguished by a lavish interior with standard genuine-wood trim and elegant contrast stitching and piping for its standard leather seats. 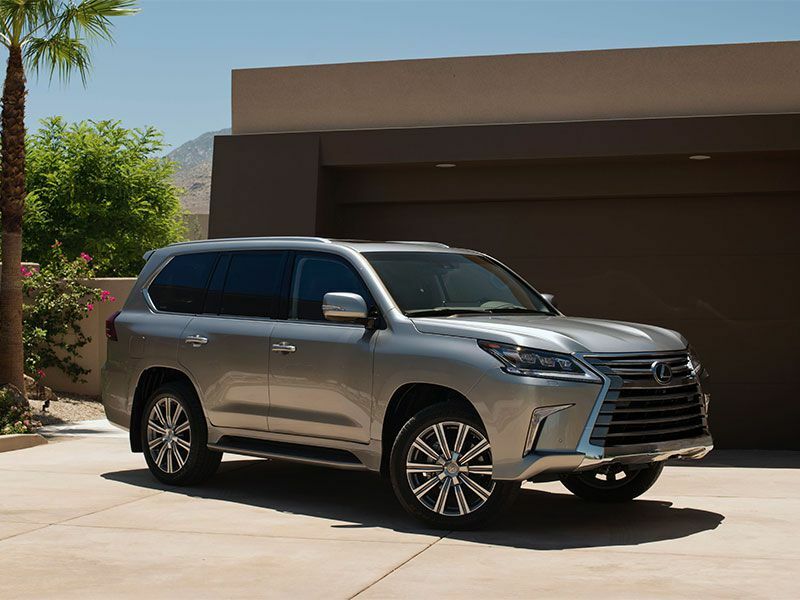 The premium full-size SUVs with the most ground clearance also include the 2018 Lexus LX. The flagship of the Lexus sport-utility lineup, the LX can handle light trail work with 8.9 inches of ground clearance. Also helping in that regard: full-time four-wheel drive with Active Traction Control. This driver-selectable multi-mode system has settings for Rock, Loose Rock, Rock and Dirt, Mogul, and Mud and Sand. To ensure flagship-style luxury, the LX cabin indulges owners with semi-aniline perforated-leather surfaces, open-pore walnut and other real-wood accents, and a “Climate Concierge.” This technology automatically and separately adjusts the settings of the four-zone climate system, climate-controlled seats and heated steering wheel for optimum comfort at each position. The 2018 Cadillac Escalade brings technology, power, style, and luxury to our list of the SUVs with the most ground clearance. However, with a ride height of eight inches, it doesn’t pretend to be a real off-road vehicle. Instead, Cadillac emphasizes the factors we first mentioned. 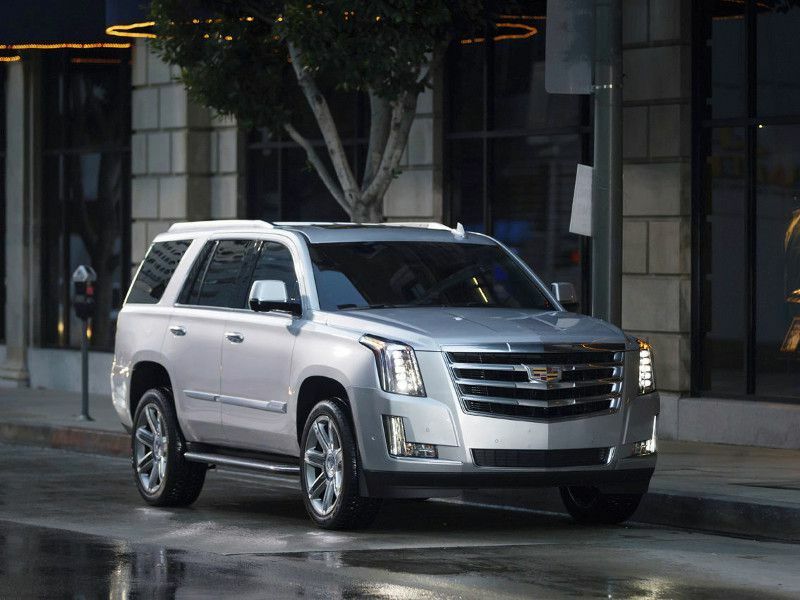 The Escalade’s tech content ranges from mobile Wi-Fi to a Rear-Camera Mirror. An alternative to a traditional mirror, it relies on an exterior, rear-facing camera for live streaming video and a 300 percent wider field of vision. The Escalade can also scoot from 0-60 in less than six seconds, thanks to a 6.2-liter V8 that delivers 420 horsepower and 460 pound-feet of torque. Dramatic LED lights and climate-controlled massage seats are some of the Escalade’s top luxury cues. 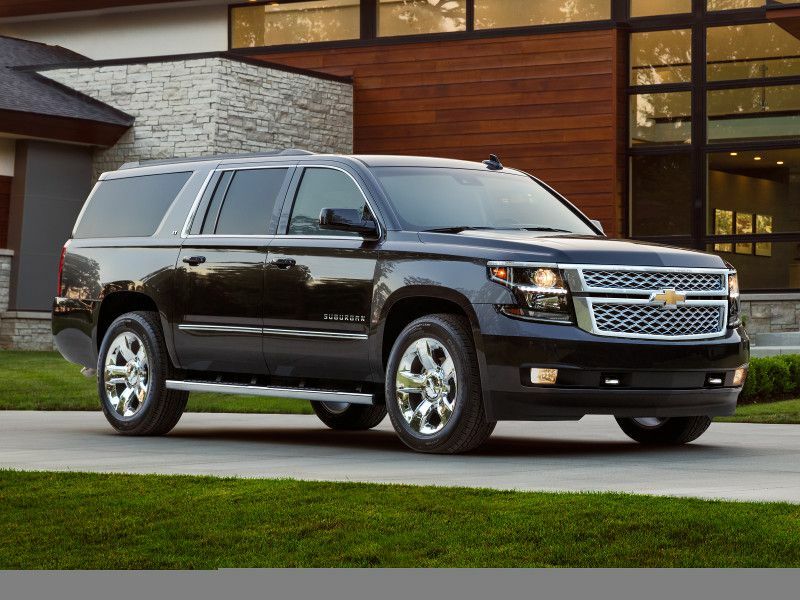 The 2018 Chevrolet Suburban is a popular choice among the full-size SUVs with the most ground clearance. That’s especially true for technology-focused customers since the Suburban features a standard mobile Wi-Fi hotspot, available Android Auto/Apple CarPlay and an available Blu-ray rear-seat entertainment system with wireless projection capability. The Suburban also remains highly capable. If you need to pull a trailer, you can count on the Suburban for an 8,300-pound towing limit. But it can also fit up to nine people or 121.7 cubic feet of cargo. The Z71 package combines an enhanced suspension and two-speed transfer case. Actual ground clearance? Although current official specs are hard to come by, models from the same generation are listed with a minimum of 7.9 inches.